When Hoekstra wasn't making big-time plays as a receiver, he was proving to be one of the most prolific punt returners in USD football history. 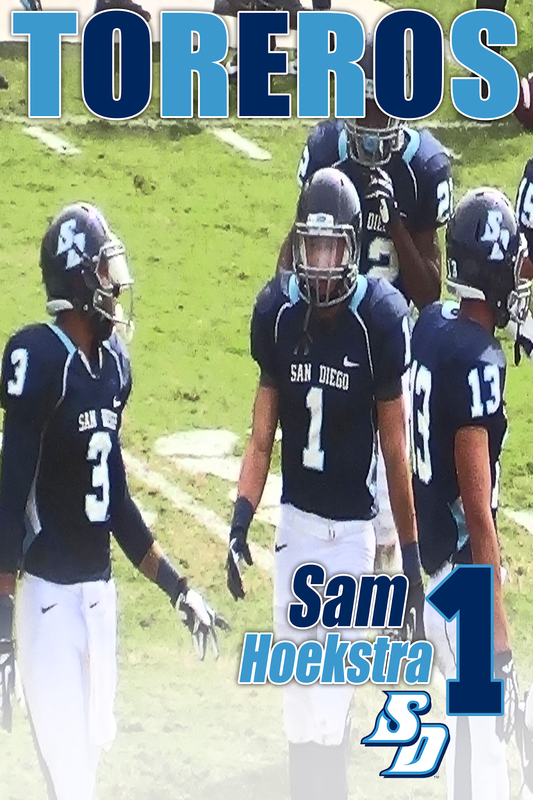 During his senior season in 2013, Hoekstra became the Toreros' all-time career leader in both punt returns (74) and punt return yards (740). He also holds the school record for most receiving yards in a single game after a 246-yard performance against Dayton in 2012.